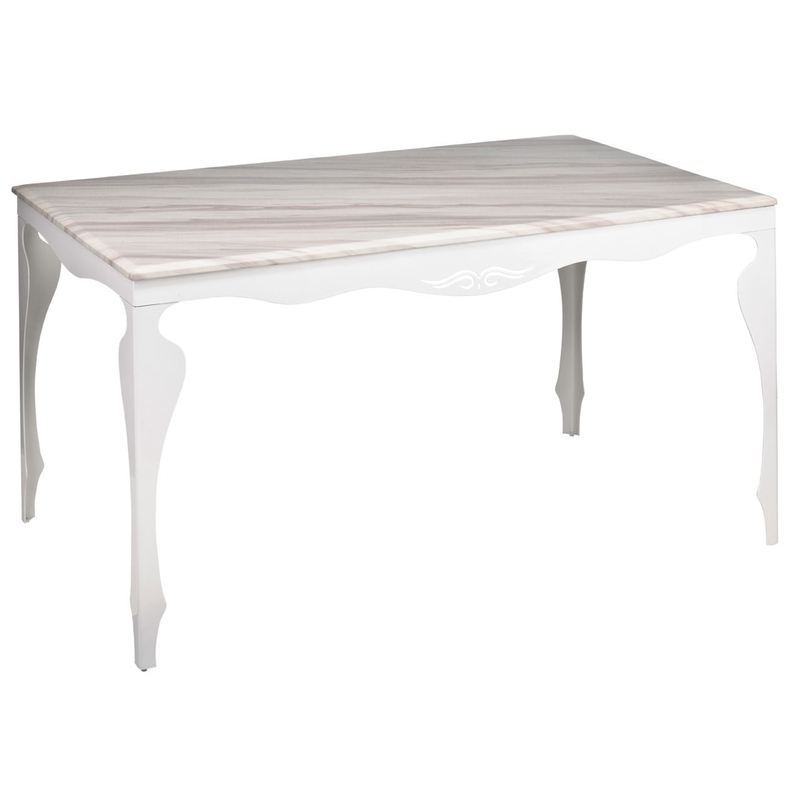 Perfect for any setting, this marble top table will be a beautiful addition to your dining room regardless of the surrounding interior. It's accentuated natural top has been perfectly complemented with four stainless steel legs, finished in chic white to match with stunning white marble top. Ideal for sitting four, this dining table is not only stunningly beautiful but is also a practical solution to your dining seating problems.